Cauliflower cheese is one of my all-time favourite comfort foods. It's a very British dish - big chunks of cauliflower in a creamy sauce, topped with rich, melted cheese - and is often served as a side to a traditional roast dinner, but my family and I have always eaten it as the main event with a sprinkling of crunchy breadcrumbs. For the past few years I have been using the BBC Good Food version; the roux sauce follows a super-easy all-in-one method that takes all the faff out of it. I usually half the base ingredients and stir through butter-browned onions and sometimes mustard. Pull apart the cauliflower florets and boil in water until fork-tender. Heat some butter in a pan and cook the onions on a low heat. Meanwhile, put the milk, butter and flour in a saucepan on a medium-heat and whisk continuously until the sauce comes to a near-boil and starts to thicken (about 5 minutes or so). If you want to make a normal cauliflower cheese, put the cauliflower and onions in an ovenproof dish and stir through the sauce. Cover with grated cheddar and bake for about 20 minutes at 220C, or until the cheese has melted and turned golden brown. 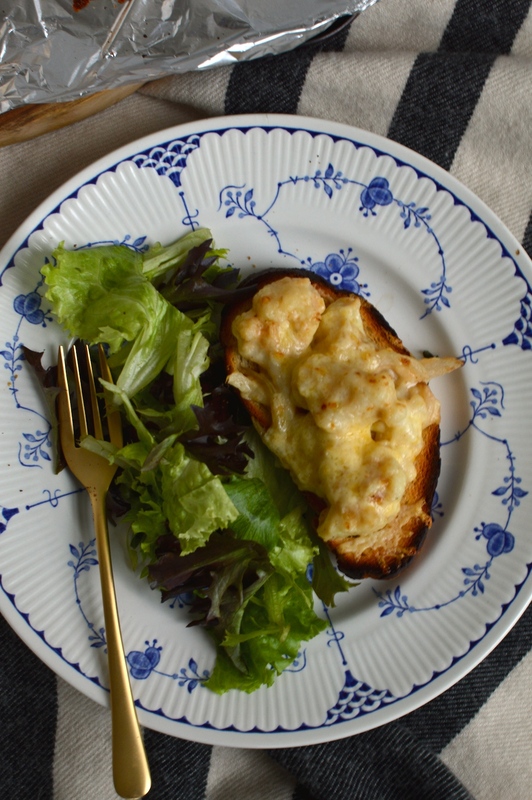 Cauliflower cheese on toast makes a quick supper into a proper hearty meal with one of your five-a-day. Follow the directions as above, pile onto a slice of toast, scatter liberally with cheese and place under the grill for about 5 minutes, or until the cheese starts to bubble and brown. 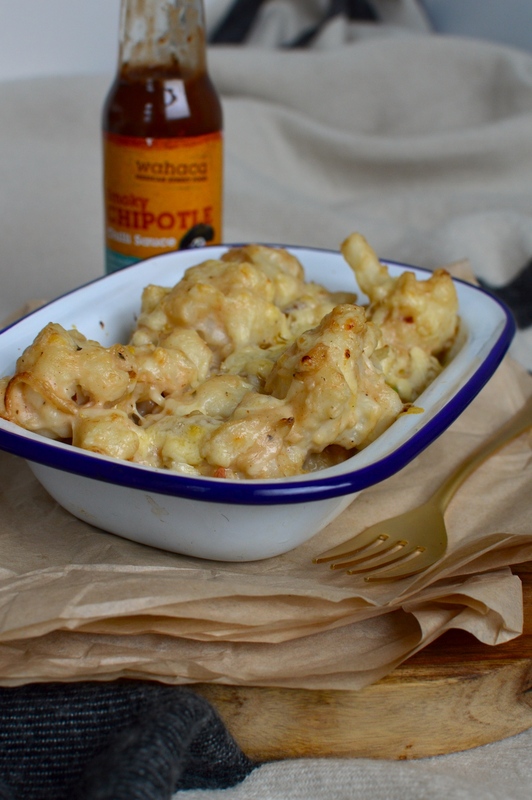 If you still want traditional cauliflower cheese, but with a twist, chipotle cauliflower cheese is awesome. Wahaca have added it as a side dish on their winter menu and after tasting it a few weeks ago I knew I had to recreate it. It turns out it's ridiculously easy as you can buy the restaurant's own range of sauces in most large supermarkets. Simply follow the directions for regular cauliflower cheese and then stir through a few tablespoons of smoky chipotle sauce. If you can't wait to eat it, you can pop it under the grill instead of baking to melt the cheese. Serve with a big green salad (if you're that way inclined!) and dig in. 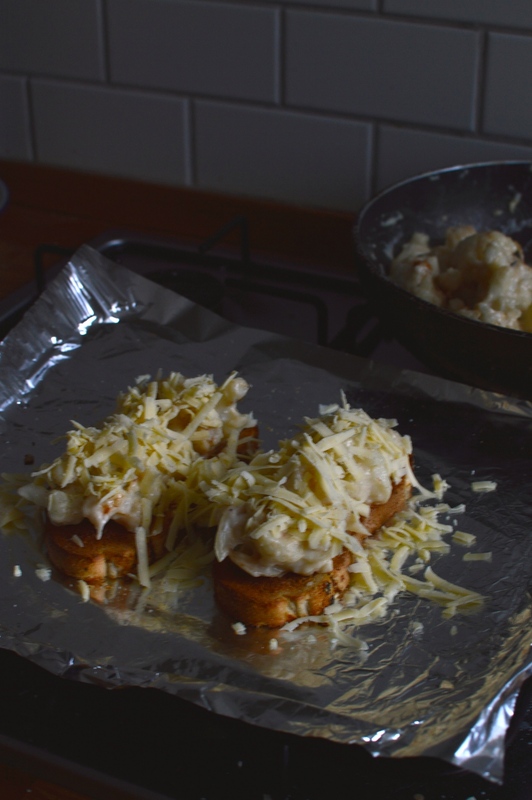 I LOVE cauliflower cheese, it's so nice and comforting and on toast sounds even better and a great idea for leftovers! I wasn't planning on doing cauliflower cheese with Christmas dinner this year but my sister had requested it, v.tempted to try the spicy version as she looooves wahacca :) merry Xmas!